Ensure that you have access to the Bluebeam API by becoming a Bluebeam Studio™ Prime member. If you believe you need to upgrade, please contact your account representative. Before you proceed with syncing drawings, you must first enable Fieldlens in your Bluebeam Studio Prime™ account. Please follow these instructions to enable the integration. Access the Drawings tab at the top of the feed in your Fieldlens project. 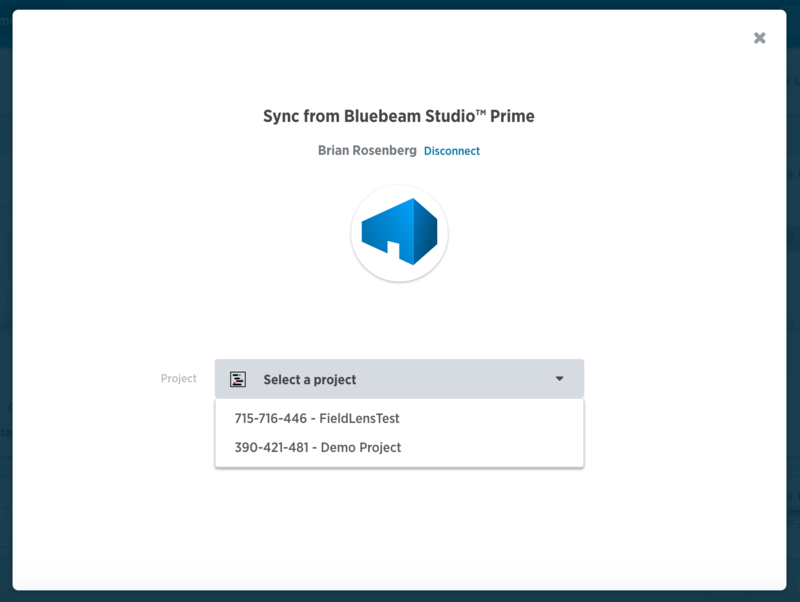 Then click on Add drawings and select Sync from Bluebeam Studio Prime. 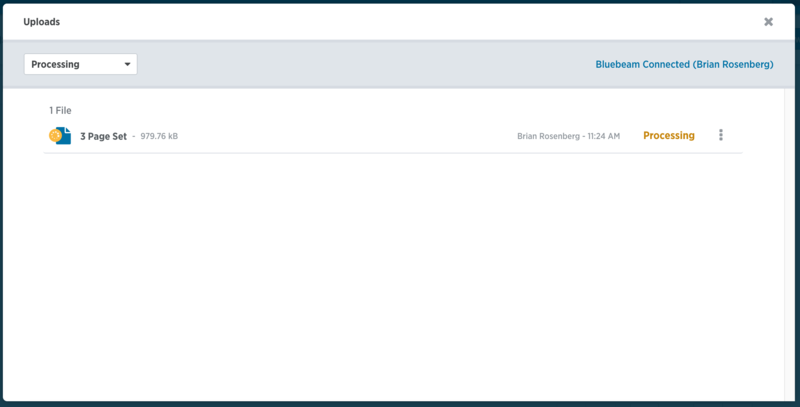 Connect your Bluebeam account by clicking on Connect to Studio and entering your Bluebeam Studio credentials. 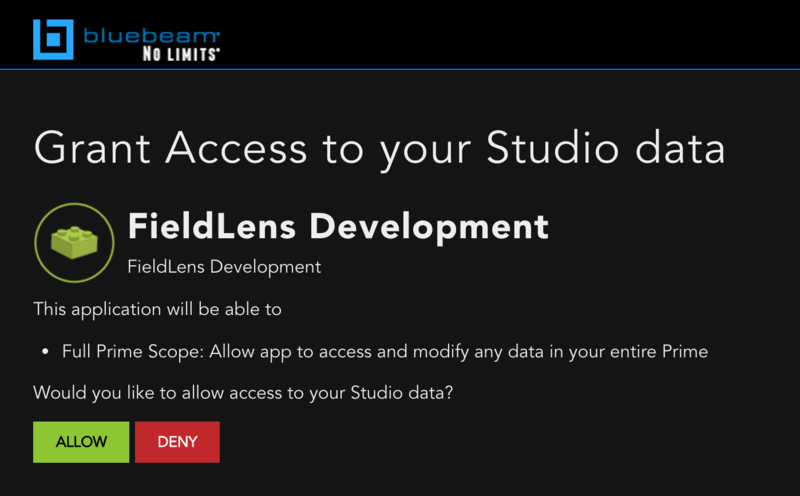 Click Allow to grant the Fieldlens app access to your Bluebeam Studio account. 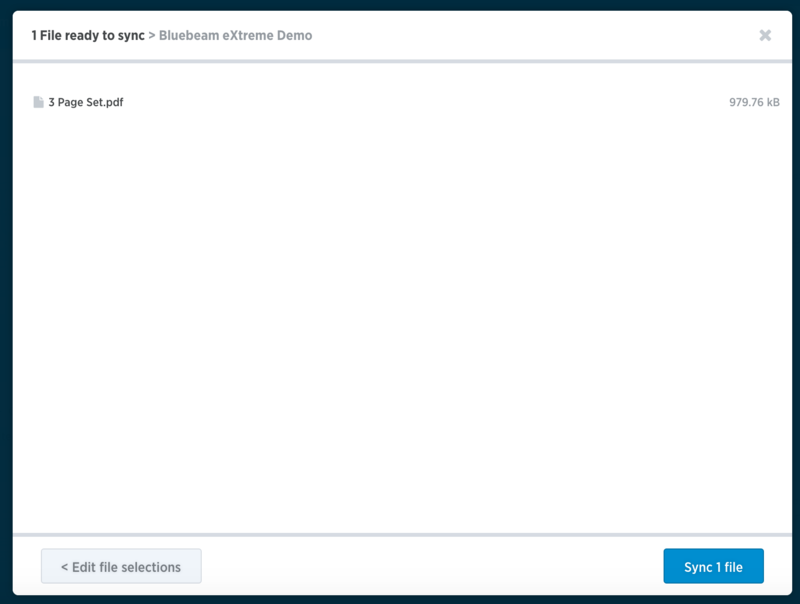 Choose a project from the list of your available Bluebeam Studio projects, and select the files that you would like to sync and watch for updates - then click Next. 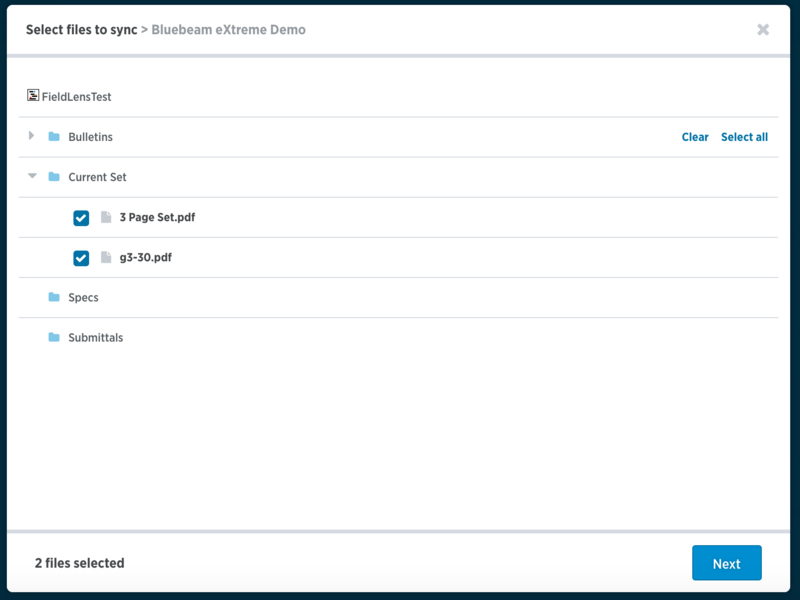 Click Sync X files to import from your Bluebeam Studio project to your Fieldlens project. Your files are now being processed. This may take a few moments as Fieldlens transfers the files over to our servers and prepares them to be sent to your team's mobile devices. You can close the window (your files will keep on processing) and watch for updates in the upper right hand corner of the web app. When your files have finished processing, you'll see a New Updates button at the top of your Drawings list in Fieldlens. Your files will be synced to your team's mobile devices automatically. When changes have been made to your watched files in Bluebeam Studio Prime, Fieldlens will let you know it's time to sync. Look for an indicator with a count of files to be synced on the Add Drawings button. To get synced up, click Add Drawings then select Ready to sync. From there you can review your files, make any changes needed, and immediately sync them to Fieldlens.